← Spring is in the air in the Scottish Borders! Tina Cummings was the first lady to catch a opening day spring salmon on the River Dee this year a 7lb sea liced springer caught in Pantoch on Invery beat. 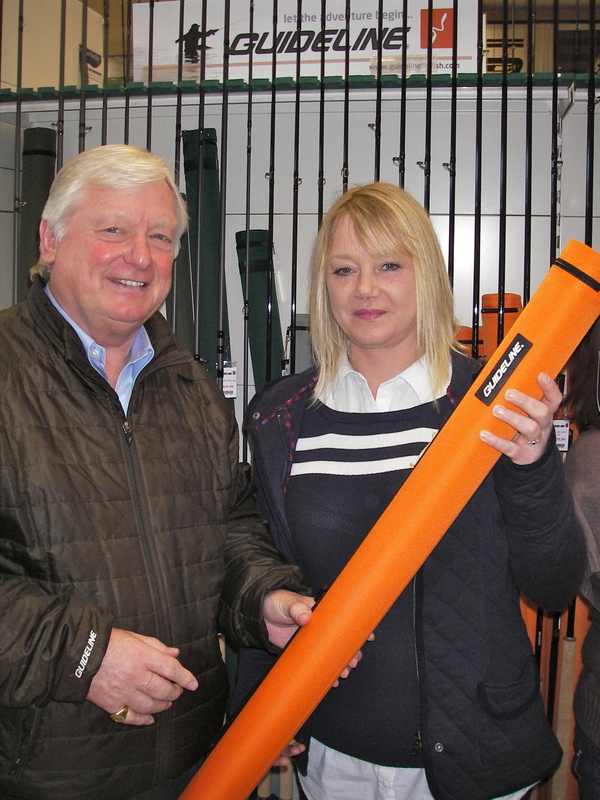 Lawrie Hickman, head of Guideline for the UK, presented Tina with her prize a new 13’7″ 9/10wt Exceed, at the Glasgow Angling Centre open weekend. Tina’s success is inspirational to other women thinking of taking up the sport as she picked up a double handed rod just six months ago. She is now totally hooked on salmon fishing and can be found on a Scottish river most weekends casting a line for a bar of silver. Since the start of the 2012 season she has caught 2 spring salmon and numerous kelts.